Where Does Sir Speedy / PIP / Signal Graphics Rank? 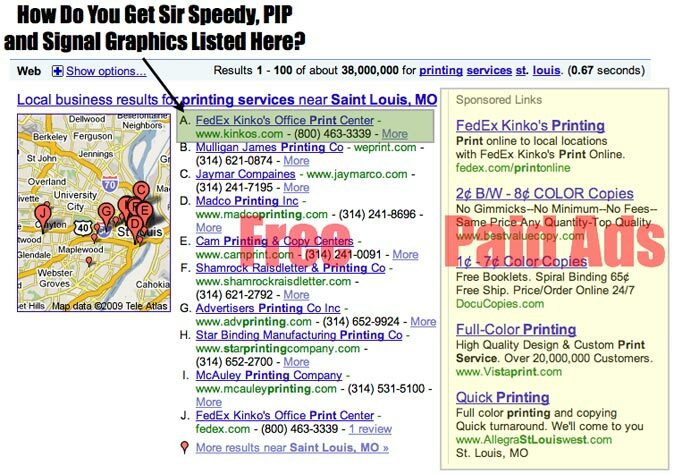 Check out where your stores rank in the free section on Google, Yahoo and Bing for the products and services you sell. Just type in your city and state to see the results. (CPC) Cost Per Click shows you how much companies are paying per click to be listed in the sponsored section. It also shows how much money you’re saving by not advertising. Trends show you the very best time to promote each product and service.